National Council Of La Raza Dubs Obama 'Deporter-In-Chief' : The Two-Way Once a staunch ally of the White House, the nation's largest Latino advocacy organization is taking aim at the White House and its immigration policies. Janet Murguía, president and CEO of the National Council of La Raza. The nation's largest Latino advocacy organization is taking its gloves off against one of its traditional allies. National Council of La Raza President Janet Murguía will call President Obama the "deporter-in-chief" during the organization's annual Capital Awards dinner on Tuesday. It marks a shift in the position of NCLR, which has, for the most part, supported President Obama. In an interview with NPR's All Things Considered, Murguía said the Latino community "is in crisis" and President Obama can do more to curb deportations. AUdie Cornish pressed her on that. She said Obama, for example, had encouraged Immigration and Customs Enforcement to use prosecutorial discretion to avoid deporting people who came here as children. Murguía dismissed that. She said calling him the "deporter-in-chief" is not a personal attack, "it's actually a fact." "He has been overseeing an administration that has deported more individuals that any other administration before. And for us, this is really about making that understood," Murguía said. In an interview with Politico, Murguía said NCLR had been privately urging the White House to curb deportations, while at the same time publicly blaming Congress and not Obama for the nearly 2 million people deported since Obama took office. 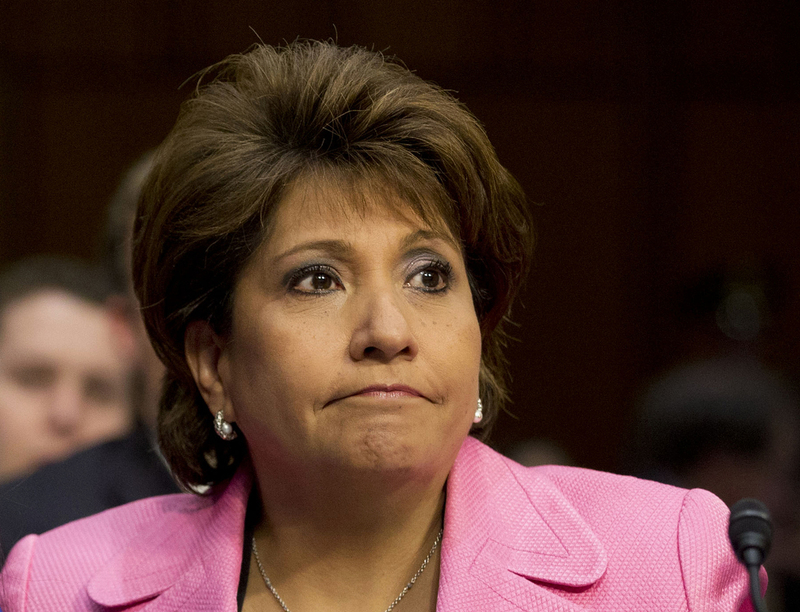 According to Politico, Murguía will say in her speech tonight that Obama has the power to curb deportations. "He can stop tearing families apart," she will say. "He can stop throwing communities and businesses into chaos. He can stop turning a blind eye to the harm being done. He does have the power to stop this. Failure to act will be a shameful legacy for his presidency." Of course, Murguía's comments come after prospects for immigration reform dimmed. After the Democrats and the GOP seemed poised to find middle ground on the controversial issue, Speaker John Boehner, a Republican from Ohio, threw cold water on the prospects, saying it would difficult to find a way forward in 2014.